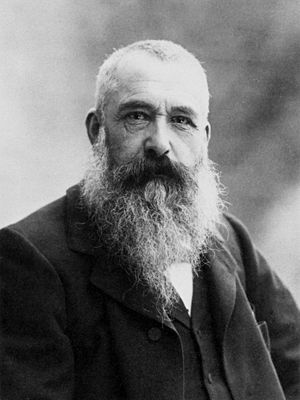 Claude Monet (14 November 1840 – 5 December 1926) was a French Impressionist painter. His best known works are a series of pictures depicting Rouen Cathedral at various times of the day, and several pictures of the water lilies, ponds, and gardens of his home in Giverny, France. This page was last edited on 31 January 2016, at 12:48.